California Pitcher Plant, Darlingtonia californica, is a rare plant that is found in places in Oregon and northern California. Unlike tropical pitcer plant species, it can grow in temperate rainforests. 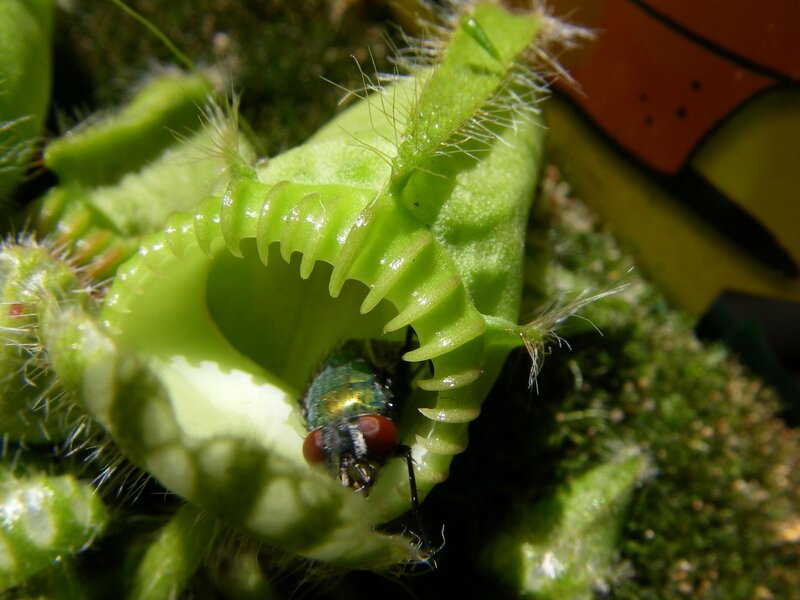 Like many other carnivorous plants, it lives in the areas with poor soils and compensates the shortage of nutrients by eating insects. It is different from many other pitcher plants in that it doesn't rely on rainwater to fill its trap; it doesn't use enzymes to digest its prey but uses a symbiotic bacteria instead; and it is dormant for about four months of the year.